but i got the color show because of its unique bottle design. 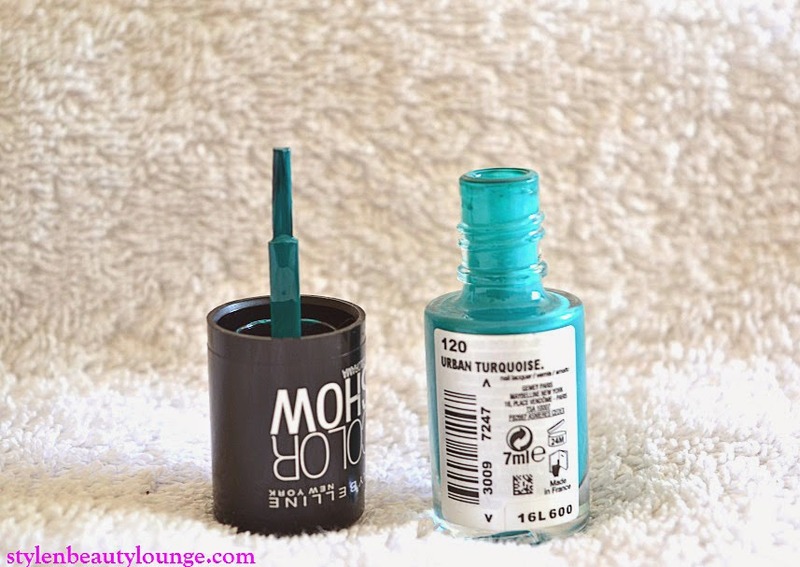 This colour i'm wearing in the picture is called 120- Urban Turquoise, its turquoise alright and its very quick drying. 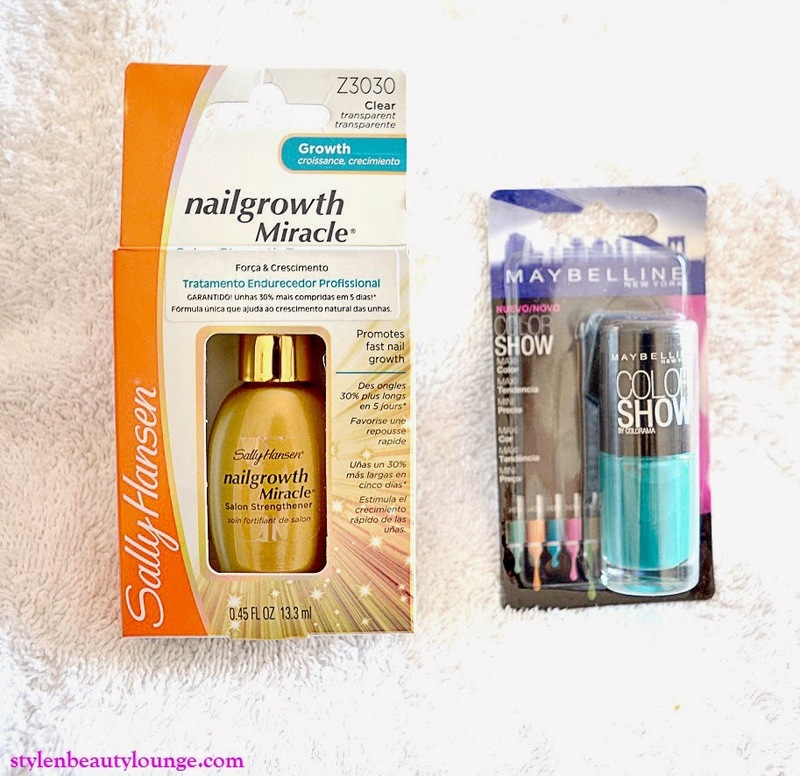 I started by applying my Sally Hansen nail growth miracle treatment as my base before using the colour show. It's very important for me to use a base treatment whenever i am applying my nail colours,as this helps to protect my nails especially because i do a lot of cleaning that gets my hands and nails wet. The 7ml bottle is quite small ,but i like the brush holder ,it is large enough to hold on to when applying. This polish is quick drying , by the time you are on your last finger the first one is almost dried ,but i prefer to wait a bit longer before topping up with another coat.I didn't use any top coat at the time these pictures were taken , yet it still has a glossy shine to it. WHAT ARE YOU WEARING ON YOUR NAILS ? 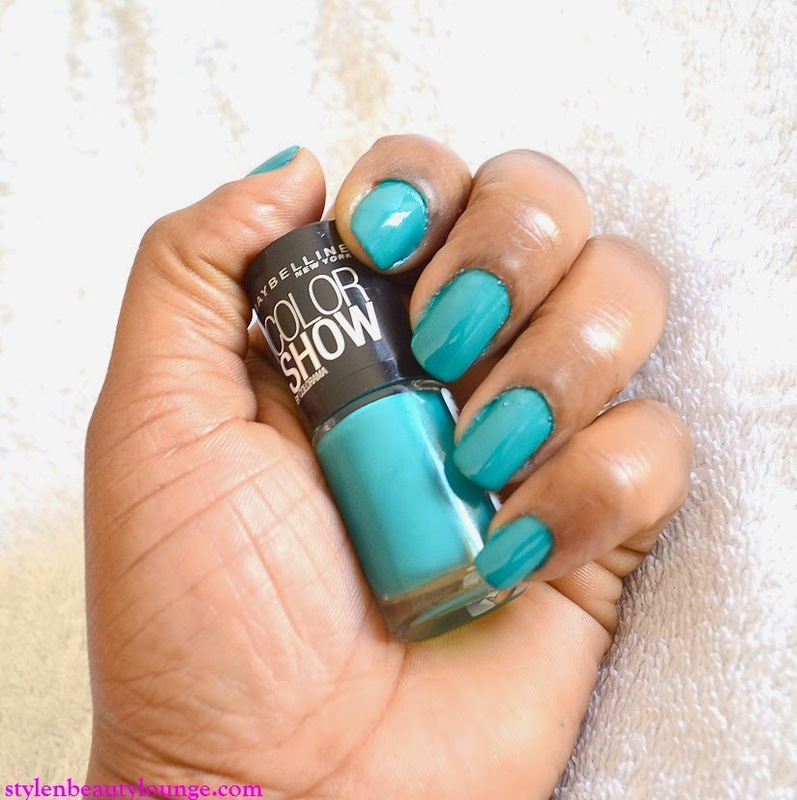 HAVE YOU USED THE MAYBELLINE RANGE OF NAIL COLORS? Such a beautiful color. And you've got so beautiful rings! love, such a great colour for summer! Beautiful color especially for this season! Such a fun color for Spring! 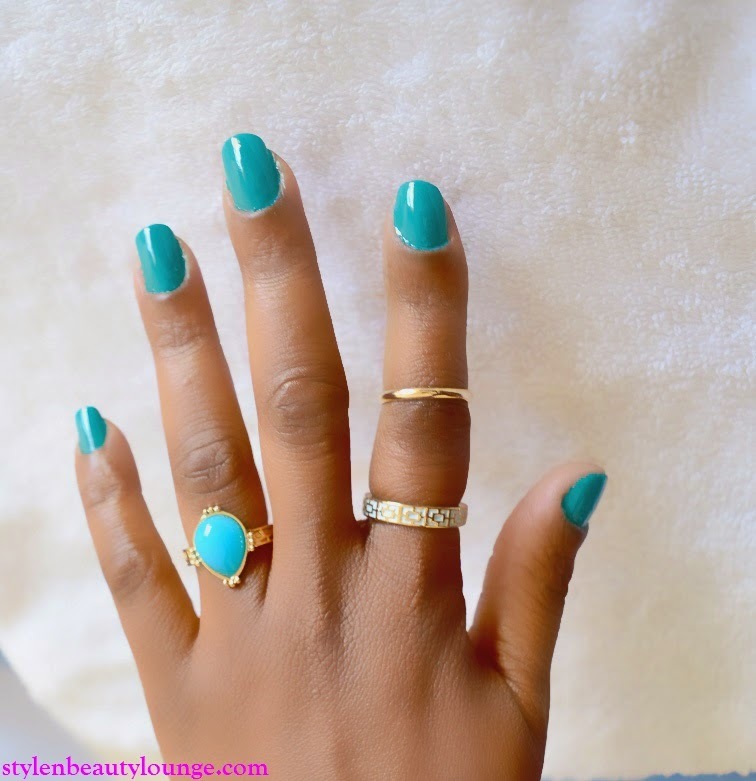 This is a beautiful summer shade, looks great on you. Love this color so much! It looks great on you! I like the vibrancy of this color. Nice color have a similar one but haven't used it in a while. I like this post and your style of writing, thank you for sharing! Nice color, that shade is very trendy for spring! Oh Uzo I LOVE that color!!!! Divine! Especially with those gorgeous accessories!! Currently I am wearing Essie gel... french manicure! You'll never guess what! I won a YEARS WORTH of free manicures at a 5* spa!!!!! So thrilled!! But the gels already coming off so I need to go back for my 2nd mani soon :) This time color! Love the blue and the gloss is just perfect. That shade is STUNNING! I wish I picked up some of these nail polish from Maybelline last week. I had a couple in my hands but put it back on the aisle because I haven't read any reviews on them. I've seen these and the color is very beautiful. I was wondering about the performance of it. Sounds good. That colour is SO pretty! I love the blue!